We arrive in Glasgow and are met by our Pathfinders Tour Manager and escorted to our motor coach. 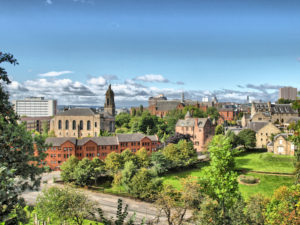 After a panoramic tour of the city we visit the Glasgow Photo Library, home to the “Burrell Collection.” Then enjoy time at leisure to explore this port city before traveling to the capital of Scotland, Edinburgh. Dinner and overnight in Edinburgh. Today we explore the sites of Edinburgh, including the Edinburgh Castle and St. Giles Cathedral where John Knox was the minister from 1559 to 1572. Following the opportunity savor the local cuisine, we enjoy an excursion to St. Andrews, including St. Andrews Parish Church. We return to Edinburgh for dinner and overnight. Today we travel to York, stopping in Abbotsford, a fantasy in stone. Upon arrival in York we visit York Minster, seat of the Archbishop of York and largest medieval cathedral in Northern Europe. Dinner and overnight in York. 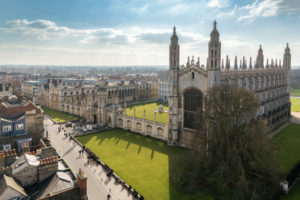 Our journey begins as we travel to Cambridge with its collage of images. We view the Bridge of Sighs, spires and turrets, willows, and dusty second-hand bookshops. There is ample time to walk the lanes where Darwin, Newton, and Cromwell walked before we travel to Oxford for dinner and overnight. 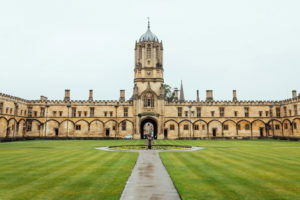 Today we walk the grounds of the oldest university in the English-speaking world, Oxford. Religious figures such as John Wesley, Johan Wycliffe, C.S. Lewis and J.R.R. Tolkein contribute to the rich Christian history of this University. We visit the Lincoln College rooms where John Wesley once lived and Christ Church Cathedral, constructed between 1160 and 1200. It is said that the wife of King Henry VIII, Catherine of Aragon, once made a pilgrimage to this Cathedral to pray for her son in 1518. After ample time for leisure, we continue on to Bristol for dinner and overnight. 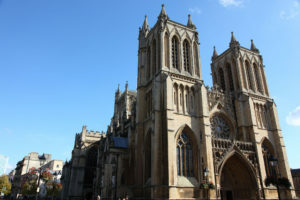 We begin today by exploring Bristol, the town that John Wesley visited every year from 1739 to 1790. We visit the ‘New Room’, the chapel built where he would preach to the poor people of the community. We make our way to the Clifton Suspension Bridge completed in 1864 and the Hanham Mount, where John Wesley preached in the fields. We then continue on to the naturally occurring hot springs of Bath, where we enjoy a soak or the opportunity to explore the town at leisure . We continue on to London for dinner and overnight. Today we experience London by visiting some of the most well known sights in England including Westminster Abbey. We make our way to the famous House of Parliament, Big Ben, Trafalgar Square, and the Tower of London. 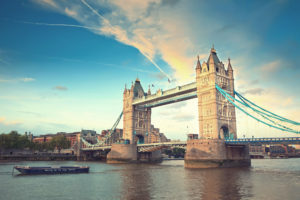 This afternoon and evening enjoy ample time to savor the sights and sounds of London. Overning in London. Our tour continues as we board the Eurostar train for Brussels, the capital of Belgium. Upon arrival in Brussels we enjoy a panoramic tour of the city before traveling by coach to Strasbourg. Dinner and overnight in Strasbourg. Today we explore the city of Strasbourg. 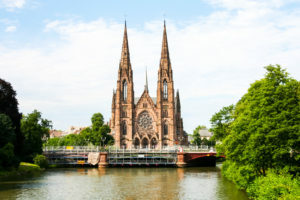 We visit the Strasbourg Notre-Dame Cathedral, one of the finest of the great Gothic cathedrals of Europe and St. Thomas Church. Located in the old part of the city it is now a Protestant church, which contains an organ played by Mozart in 1778. We conclude our day by traveling to Geneva, Switzerland for dinner and overnight. 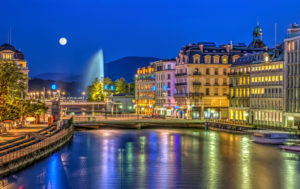 Geneva is unquestionably one of the most privileged Swiss cities due to its exceptional location. Our tour of this extraordinary city takes us to many historical sites including St. Pierre (St. Peter’s) Cathedral, best known as the church where John Calvin gave his inspired sermons during the mid-16th century. We also tour the Calvin’s Academy, one of the most important institutions of Geneva, founded by Calvin in 1541. We finish at the Reformation Monument found under the Promenade de la Treille. This afternoon is at leisure to explore Geneva before dinner and overnight. We depart Geneva this morning and travel to Montreux to tour the Chillon Castle, located on the shore of Lake Geneva. As we continue on to Zurich, we stop in Lucerne for ample time at leisure. Dinner and overnight in Zurich. 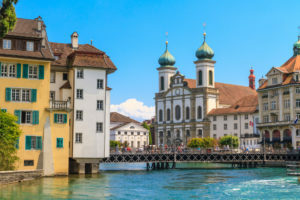 Today we explore the many historic buildings of Zurich including the Grossmunster, a cathedral from the 11th century that was once Catholic and is now Protestant. We then visit the Fraurnunster, a church and convent which was founded by King Louis the German in 853 and inhabited by female members of the aristocracy of Europe and Helferei, where the Reformer Uldrich Zwingli lived with his wife and children. This afternoon is at leisure to enjoy “Downtown Switzerland” before our farewell dinner and overnight Zurich. 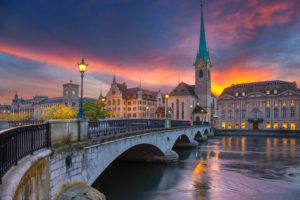 Today we transfer to the Zurich airport for our flight home, taking with us wonderful and inspiring memories of our tour, which will be treasured and relived for the rest of our lives.